Beers Made By Walking (BMBW) invites brewers to create place-based beers inspired by plants found on nature trails. Today, BMBW announces a beer tapping event featuring 18 beers/ciders that were inspired by the trails in Portland’s Forest Park. 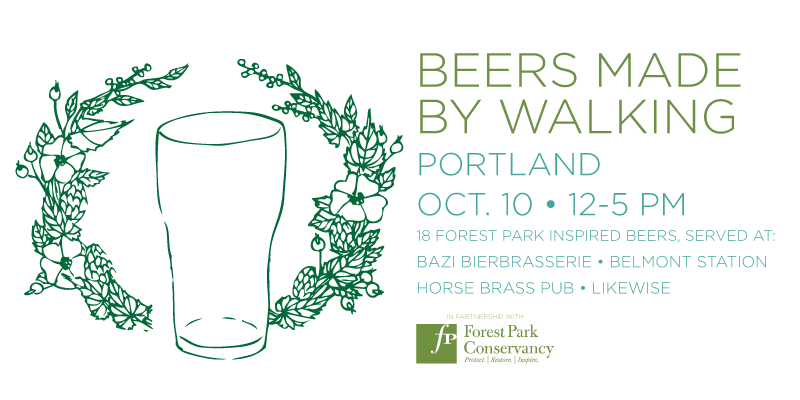 The event takes place on October 10, from 12-5pm, at four different bars in SE Portland - Bazi Bierbrasserie, Belmont Station, Horse Brass Pub, and Likewise. Full details for the event can be found on the event page here.